Dangerous escalation: Despite Obama warning, Putin asks Parliament for authorization to use force. The situation in Ukraine is moving rapidly, and there is much confusion at this hour about precisely what is happening. Some reports say 2,000 Russian troops have crossed the border into the southern region of Crimea. Other reports say 6,000 troops. One thing is clear: Vladmir Putin isn’t listening to President Obama warning to stay out of Ukraine. Ukraine names Baptist pastor as acting president. Ukrainian evangelicals issue call for national prayer & reconciliation in wake of violence. The Iran nuclear threat will likely be the Prime Minister’s top agenda item. Pressing Israel to make deep concessions as part of the “framework agreement” will likely be Kerry’s. AIPAC is also seeking to set terms for international negotiations over Iran’s nuclear program that are more stringent than ones Obama administration diplomats have outlined. These divisions are expected to boil to the surface during the meetings from March 2-4. The White House is sending Secretary of State John Kerry and Treasury Secretary Jacob Lew to address an estimated 14,000 AIPAC members. Israeli Prime Minister Benjamin Netanyahu will speak on Tuesday. U.S. officials said Mr. Obama hopes to work with Messrs. Netanyahu and Abbas in the coming weeks to sign a framework agreement that will guide talks aimed at creating an independent Palestinian state. Such an agreement would allow for U.S.-brokered diplomacy to extend beyond an initial April 30 deadline set by Israel and the Palestinians. Ahead of its conference, AIPAC distributed a position paper to congressional offices that demands a dismantling of virtually all of Iran’s nuclear sites in order for an agreement to be reached and sanctions lifted. Mr. Netanyahu has promoted a similar line. The administration “must hold out for an agreement under which Iran dismantles its nuclear infrastructure, including enrichment and reprocessing capabilities and the heavy water reactor and production plant,” the paper said. 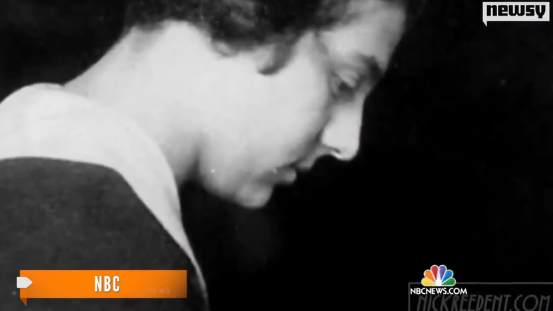 The oldest known survivor of the Holocaust died this week at 110. Her story has become an Oscar-nominated film. The oldest-known survivor of the Holocaust died in London this week. She was 110. “These concerts, the people are sitting there, old people, desolated and ill, and they came to the concerts and this music was for them our food. Music was our food. Through making music we were kept alive,” she once recalled. Please pray for her friends and family. To read the rest of this fascinating article, please click here. UPDATE: There are obviously strong feelings about this film, negative and positive. Having not seen it yet, I can’t say if you’re right or wrong. The film-makers say they shot many additional scenes for this version. The final cut could confirm all your worst fears, or might surprise you. One thing I think is important: This is an enormous cultural discussion starter. If there are theological mistakes in the film, let’s discuss that with people. 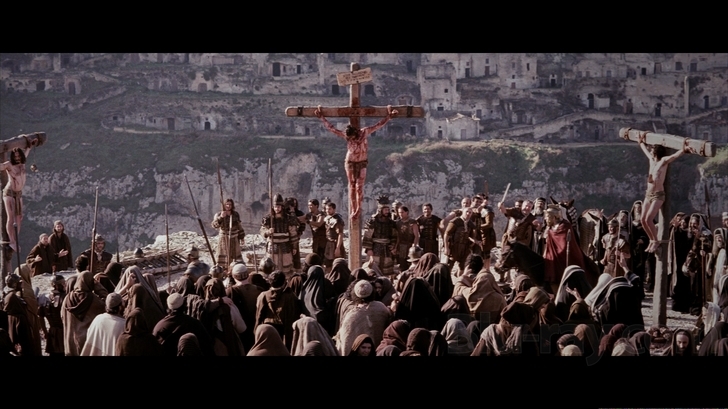 If there are parts of the film that do a good job portraying Christ, let’s discuss those, too. I see this film as an opportunity to get into conversations with people about who Jesus is, what He really said, what He really did. Let’s get people discussing what the Bible says. The film can be a tool. But the Bible is the standard. That said, I’m surprised and somewhat disappointed to see the enormous cynicism some of you have before you’ve seen the final cut of the film. Let’s walk by faith. Let’s ask the Lord to do a great and mighty thing. The truth of the Gospel doesn’t rise or fall based on this film, or any other. But let’s not be so defensive and defeated, my friends. Let’s use this film to do what we should be doing anyway — talking with people about Jesus. ORIGINAL POST: Today, the motion picture “Son of God” opens in 3,000 theaters nationwide. It is a powerful drama and highly controversial, and it may prove to be the most important film of the year. Tragically, though, some films, novels, and plays about the life of Jesus over the years have been — or have been perceived to be — anti-Semitic, or at the very least deeply insensitive. This grieves me since the story of Jesus is, at its core, a very Jewish story. Mary and Joseph were Jewish. Jesus was Jewish. His earliest disciples were Jewish. They all lived and ministered the Biblical land of Israel. They repeatedly visited the Temple in Jerusalem. They celebrated Passover and all the Jewish holidays. They studied the Jewish Scriptures. They were captivated by the Jewish prophecies. The worshipped the God of Abraham, Isaac and Jacob. The longed for the restoration of Israel, and so forth. Yes, the Bible records that some Jewish leaders at the time were fiercely opposed to Him. Yet many other Jews, including some Pharisees, embraced and followed Him. My hope is that “Son of God” captures these nuances, as well as the political drama of the Roman empire wanting to crush the man the masses saw as the “King of the Jews.” As soon as I see it, I’ll let you know my perceptions. In the meantime, I find it noteworthy — and commendable — that the film’s producers actively reached out to Jewish leaders to understand their concerns about past films about Jesus. “We knew when we were shooting The Bible series that as the Jesus narrative began to unfold, that we had something spectacular,” Roma Downey, one of the film’s co-producers (she also played Mary) told NBC’s Today Show. “Downey also talked about how she and Burnett even reached out to the Anti-Defamation League to make sure they presented the story in a way that was sensitive to the Jewish community,” noted The Hollywood Reporter. “We have worked across denominations and reached out to the Jewish community through [national director] Abe Foxman at the ADL to make sure that we told this movie sensitively, setting up political and historic context, presenting the story in a way that really just emphasized the love of Jesus, and Mr. Foxman gave us a great endorsement from the ADL,” Downey explained. As soon as you’ve seen it, please post your comments and reactions on my “Epicenter Team” page on Facebook. I’d love to know what you think. And while the character of the persecutors has changed, from the lethal heyday of the twentieth-century totalitarianisms to the first decades of the twenty-first century, the assault on the Christian faithful today is ongoing, extensive, and heart-rending. Solidarity with the persecuted Church is an obligation of Christian faith. Reflecting on how well each of us has lived that obligation is a worthy point on which to examine one’s conscience during Lent. And that brings me to a suggestion….spend ten minutes a day reading John Allen’s new book, The Global War on Christians: Dispatches from the Front Lines of Anti-Christian Persecution. The longtime Vatican correspondent for the National Catholic Reporter and CNN’s senior Vatican analyst, Allen has recently moved to the Boston Globe as associate editor, where he (and we) will see if talent and resources can combine to deepen a mainstream media outlet’s coverage of all things Catholic, both in print and on the Web. Meanwhile, Allen will continue the Roman work that has made him the best Anglophone Vatican reporter ever—work that has given him a unique perspective on the world Church, and indeed on world Christianity. His extensive experience across the globe, and his contacts with everyone who’s anyone in the field of international religious freedom issues, makes him an ideal witness to what he calls, without exaggeration, a global war on Christian believers. The U.S. issued a “blunt warning” to Russia, saying any military intervention in Ukraine would be a “grave mistake,” the Associated Press reported. “Russia sent fighter jets to patrol the border with Ukraine, reportedly gave shelter to the country’s fugitive president and pro-Russian gunmen stormed offices of a strategic region, deepening the crisis for Ukraine’s new government even as it was being formed,” reports the Associated Press. Mr. Yanukovych’s remarks were his first since he appeared in a video on Saturday night after fleeing Ukraine’s capital, Kiev, for eastern Ukraine. His defiance of the country’s new interim leaders only deepened the political turmoil in the country and threatened to draw Russia more deeply into the conflict. Mr. Yanukovych, in a letter published by news agencies here, went on to suggest that largely Russian regions of Ukraine – including the east and Crimea – did not accept “the anarchy and outright lawlessness” that had gripped the country and said that orders by the new authorities to use the armed forces to impose order were unlawful. He clearly meant the response to pro-Russia demonstrations in Crimea, which took an ugly turn on Thursday morning when armed gunmen seized control of the regional Parliament in Simferopol. Rumors that Mr. Yanukovych had arrived in Russia first surfaced on Wednesday night, with unnamed sources variously putting him at a hotel in Moscow — which denied it on Thursday — or in a government sanitarium outside the city. The Kremlin spokesman, Dmitri S. Peskov, said in a brief telephone interview that he was not able to speak on the matter now. On Wednesday night, he said he did not know if Mr. Yanukovych had arrived, but a senior member of the upper house of Parliament said he knew for a fact that it was not true…. 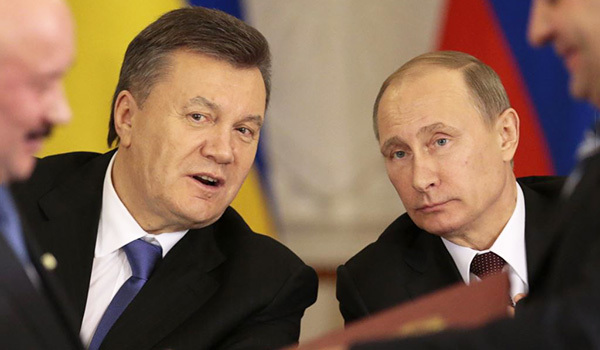 Russia has denounced the political upheaval in Kiev and refused to recognize the interim government. At the same time, officials have expressed deep frustration with, and at times ridicule of, Mr. Yanukovych’s handling of the crisis. Russia’s foreign minister, Sergey V. Lavrov, has repeatedly said that Ukraine’s leaders were bound by an agreement mediated by three European foreign ministers. That agreement, signed last Friday, called for an interim national unity government and new elections, but not until December. Mr. Yanukovych fled Kiev the next day, as security forces that had clashed with protesters withdrew from Kiev’s center and even members of his own party began resigning or changing sides. The new Parliament, the Verkhovna Rada, has since impeached him, begun to form a new government and called elections to be held in May. Order Epicenter 2.0, the updated paperback edition. Congress should deter Iran’s nuclear ambitions by authorizing, now, the president to use military action. The six-month “interim” agreement between Iran and the U.S. and other nations on Iran’s further development of its nuclear capacity has now gone into effect. Many Americans of both political parties believe it is a bad deal — one that will not lead to a suspension of Iran’s efforts to acquire nuclear weapons. The Israelis and the Saudis agree with them. We too have grave doubts. What if the skeptics are right? We had better think that possibility through very carefully — and do it now. President Obama and key leaders in Congress have stated that the acquisition of nuclear arms by Iran is unacceptable. The president has assured the public, and our allies, that he will not let it happen. If the president is speaking truthfully on this matter, then the possibility of the failure of the “interim” deal means that the United States must be prepared to deploy military force to destroy Iran’s nuclear-development sites. No American wants that to become necessary. Yet is there any reason to suppose that, if it does, the constitutional debates over presidential authority to take military action will be any more helpful than the embarrassment attending President Obama’s “red-line-already-crossed,” on-again, off-again handwringing over the use of military force against the Assad regime in Syria this past September? Can anyone fail to imagine Iran’s leaders chortling at the sight of America’s Congress debating a resolution authorizing the use of military force, all the while that Iran takes advantage of the time to prepare to defend its weapons against a U.S.-led attack? We have a proposal. Despite his dissembling on health care and some other important issues, we take President Obama at his word when he says that he will not permit Iran to acquire nuclear weapons. In addition to enacting economic sanctions to be triggered by the failure, six months from now, to achieve a genuine agreement barring Iranian nuclear-weapons capability, Congress should, now, consider exercising its power under the Declare War Clause of the Constitution to authorize, prospectively, the president to use all necessary and appropriate military force against the Tehran regime if and when the president determines that Iran is making progress toward development of a nuclear weapon, to deter and prevent development of such a weapon. If the president means what he is saying, such an authorization to use military force is the constitutionally appropriate course. If he is serious in his public pronouncements that he will not permit Iran to acquire a nuclear weapon, and if members of Congress mean it when they make the same vow, there is a strong constitutional case for taking the necessary legal steps now, in advance of the point of crisis. It is clear, then, that the president may act to repel attacks on the nation. But it is constitutionally less clear how far this “defensive” war power can be leveraged. Could it justify preemptive military strikes on a foreign nation’s facilities or forces, in order to prevent an attack? We think the president’s constitutional power to act alone in such circumstances sufficiently doubtful to warrant a congressional enactment explicitly authorizing the use of force if the president determines the circumstances justify it. Such a strictly proper constitutional course would have placed on firmer ground the many dubious instances of unilateral presidential war-making in our nation’s distant and very recent past. Consider two recent examples. President Obama’s unilateral decision to use military force in Libya in 2011, whatever its policy merits, was plainly unconstitutional: Congress did not authorize such force; a treaty commitment, decision by military allies, or even a U.N. resolution cannot constitutionally substitute for such authorization, and in no plausible sense could the action be regarded as defending the United States from a sudden or imminent attack. It was a humanitarian military intervention in a foreign civil war. The Obama administration’s legal justification would be laughable were it not so outrageous: The president may initiate offensive military action whenever he judges it to be in America’s interest, the administration lawyers wrote. The Declare War Clause power of Congress applies only to a “war,” and this was not a war because the president did not consider it to be one. Besides, merely bombing a foreign nation does not constitute “war,” the administration claimed. Such arguments can scarcely be made with a straight face. And so, when contemplating an offensive military strike against Syria this past September, the administration gave up trying to do so. It hemmed and hawed, blustered and dithered, and finally asked Congress for authorization to use force — all the while denying that such authorization was needed. The result was politically, militarily, strategically, and constitutionally disastrous. Congress balked at an administration without a plan, Syria was granted weeks to prepare, and Russia came to the rescue of the murderous Syrian regime. The Obama administration was left embarrassed, the Syrian people were left abandoned, American credibility abroad was left seriously weakened, and Vladimir Putin suddenly became a plausible candidate for a Nobel Peace Prize. And the Iranian regime was left emboldened to take advantage of the situation: The empty interim deal with Iran is exactly what one might expect when America negotiates from a position of weakness and vacillation. It is essential not to repeat the Syria mistake with respect to Iran. A disastrous but foreseeable outcome would be that Iran strings the Obama administration along for (another) half year, using that time to prepare, presenting the U.S. with a Hobson’s choice between war and nuclear appeasement, and hoping that a divided Congress would then debate for weeks whether to authorize military force — while Iran dashes for nuclear breakout, arms for defense, and threatens to attack American allies in the Middle East. That is why Congress should act now to authorize force and then leave it to the president to determine whether the diplomatic, strategic, and national-security circumstances at some point require him to use it. The Iranians will not like it. The Obama administration might not like it, either — on the grounds that Iran would not like it, and that this would hamper negotiations — but this should not stop Congress. The administration should be pressed to accept an American position of strength as a way of strengthening its hand for negotiations. Making clear America’s commitment to stopping Iran from acquiring nuclear weapons, its willingness to back up that commitment by force if necessary, and its repentance of the constitutional handwringing and inconstancy that so recently characterized the debacle regarding Syria could do a world of good. A prospective authorization to use force does not necessarily mean war. It means that America is prepared for war — constitutionally prepared — if the circumstances require war. And that might be the best road to a true peace. — Robert P. George is McCormick Professor of Jurisprudence at Princeton University. Michael Stokes Paulsen is university chair and professor of law at the University of St. Thomas. After Auschwitz trip, House majority leader warns against isolationism. 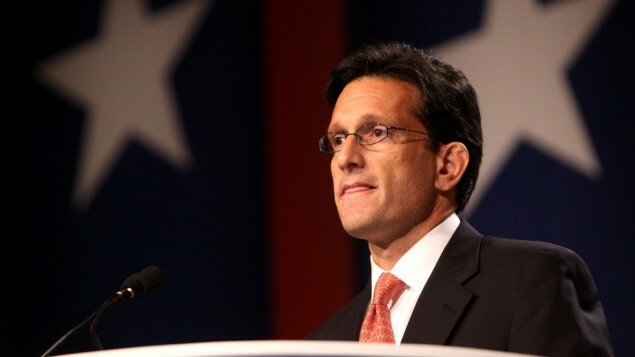 (Washington, D.C.) — Rep. Eric Cantor of Virginia is the House Majority Leader. He is also the highest ranking Jewish leader in the GOP. As I previously reported, Cantor visited the Auschwitz death camp last month with a group of Israeli lawmakers. Now Cantor is wisely warning the American people against a growing isolationist trend in both the Democrat and Republican parties. What’s more, he is warning against downsizing our military too far and too hastily, and the danger of the U.S. not taking decisive action against a rising evil before it’s too late, specifically mentioning Iran. The Obama administration is in the process of retreating from the Middle East and has just proposed military cuts so enormous that U.S. force levels would be at the lowest point since World War II. “While the bulk of his February 17 speech was a critique of the Obama administration’s foreign policy, Cantor also seemed to take aim at anti-interventionists within the GOP,” Haaretz noted. The GOP is heading into this midterm election year in a state of turmoil, deeply divided between Tea Party-aligned right-wingers and establishment Republicans. Those on the right who advocate shifting toward an anti-interventionist foreign policy — a small minority among congressional Republicans — have grown louder, with Senator Rand Paul featuring prominently among the party’s presumed 2016 presidential contenders…. Here’s my list of 12 books that absolutely changed my life. What’s on your list? 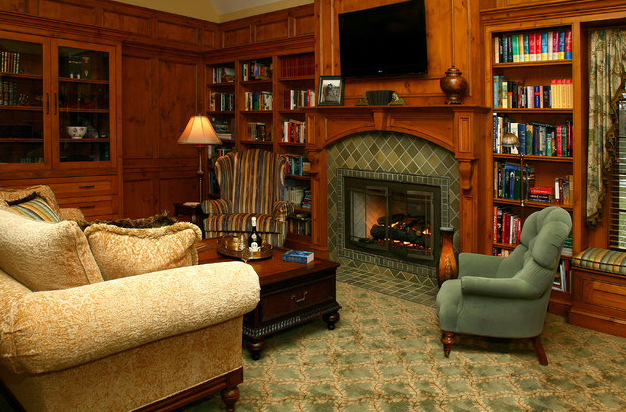 This is not my personal library — I just wish it was. Someone recently emailed me to ask for a list of my five favorite books, aside from the Bible. I’m so sorry, I can’t possible narrow my list to just five books. (Washington, D.C.) — With tensions high in Eastern Europe amidst the crisis in Ukraine, the government of Georgia is urgently seeking membership into the European Union and NATO, in part to defend itself against Russian imperialism. As you will recall, Russia invaded Georgia and occupied parts of it in August of 2008. Georgian Prime Minister Irakli Garibashvili is currently in Washington. In a meeting with Vice President Biden yesterday, he received the White House blessing for Georgia to become part of the European economic and security alliance. “The United States is urging the former Soviet republic of Georgia to further integrate with Europe and NATO and renewing demands that Russia withdraw troops from disputed enclaves it occupies there,” reports the Associated Press. “The call comes amid growing tensions between Russia and the West over the ouster of a pro-Moscow president in Ukraine, another former Soviet republic. On Tuesday the US and Britain sought to defuse the crisis, insisting the country must not be a battleground between East and West. “This is not a zero-sum game, it is not a West versus East,” said John Kerry, the US secretary of state, after meeting William Hague, the Foreign Secretary, on Tuesday. But today, the question of Georgia threatened to further stir tensions, as Washington urged the former Soviet republic to integrate further with NATO and sign a partnership agreement with the European Union this year. During an unfortunately timed visit from the country’s prime minister, Washington also renewed demands that Russia withdraw troops from disputed enclaves it now occupies there. Mr Kerry insisted that US policy toward the states that once made up the Soviet Union is not aimed at reducing Russia’s influence in its neighbourhood. But it is nevertheless likely to irritate Moscow, particularly given the origins of the Ukraine crisis in a dispute over an EU partnership agreement. Mr Lavrov this morning called on Europe’s democracy watchdog to condemn the rise of “nationalist and neo-fascist sentiment” in western Ukraine.